Hello, can i know when will support KSP v. 1.6.0 for all Near future? Can We please get a 1.5.1 and 1.5? I'm new to KSP, I've put in 47 hours and decided i want to add some mods and after playing with this pack for a few days now, I still cannot find Lithium Fuel for LF-2 'pyrlos' magnetoplasmadynamic thruster. Maybe I missed it? passed over it? I'm not exactly sure what to look for. hell, I have not even figured out all of the stock parts lol. Any help would be appreciated. THIS GAME IS AWESOME!!! Thank you for creating mods. I has a problem so when I try to start ksp with any of the fission reactor mod file installed ksp will load up to the first reactor it comes across and just sits there and wont go further. 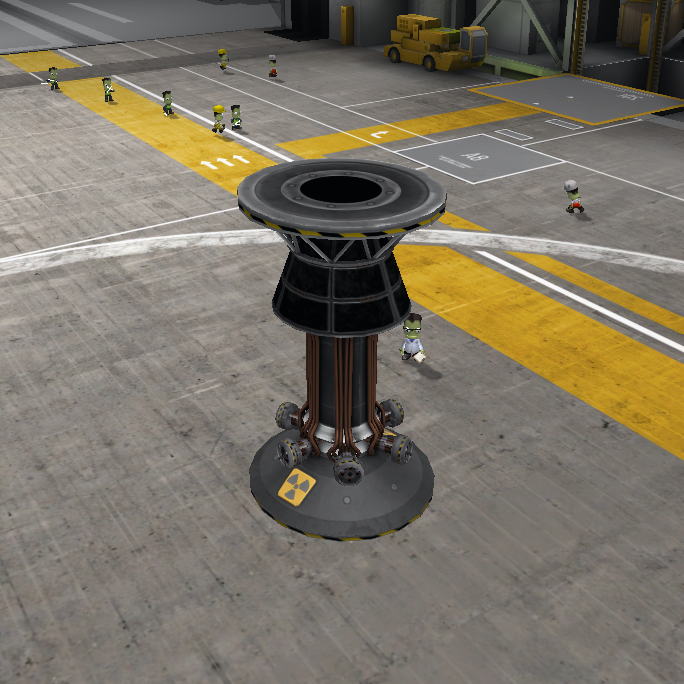 Now when I remove all reactor files ksp loads fine but one of the main reasons I got this mod was for the reactors. any body have his problem or solutions cause I really want to be able to use it. i install that but when i go to game. Hey, can somebody help me with the whole nuclear thingy? I mean, I tried testing the in-line nuke reactor, but no matter how many (or how big) radiators I seem to put on it, the thing overheats and melts down in under 5 mins! To be fair, I've never really done much heat management before, so what might I be doing wrong here? This mod looks fun otherwise. Yeah, Radiator Panels and Thermal Control Systems work differently. I recommend building radiator panels on/near the reactor. Put thermal control systems anywhere else. Here's a good post on reddit about the topic. Come to think of it, why don't we have a Thermoelectric power source that can burn things? That would be very good for emergency and darkside operations. Because combustion requires large amounts of oxygen. You'd either be burning your fuel supply, or your life support, for an inefficient power generation system. A Stirling Generator, modded for space, would be a great addition to this, or some other, Near Future pack. It only needs a heat differential and produces kinetic energy via a working fluid. Plus you could add focussing dishes and radiators to create more energy, and make it a beamed power, orbital station, running entirely off heat, and only needing its working fluid replaced every so often. Mind you, it would be heavy, but you make up for that in the lack of fuel requirement. Its power output vs weight as a function of cost per pound should be excellent over the medium to long term. You could go with super high efficiency Thermoelectrics, but that's not terribly Near Future :-) This design is possible with today's technology, it's just finicky and has not ben done yet in space, since you have to deal with fragility and rotating parts. But two counter rotating generators could work nicely in a sealed unit. Plus, Stirling engines are dead reliable, if they are designed right. They can last for a very long time. A few large scale Solar providers are using them on Earth with Helium (I believe) as a working fluid to produce commercially viable amounts of power. And as a bonus.. you could use them in darkness, if you burn things :-) It could have an optional liquid fuel and/or oxidizer tank addon (perhaps via a fuel transfer pipe) that would allow it to generate loads of power from "gas" flame burning near its collector area. So this is the really cool thing about them. In fact, anything you can burn, you could use for fuel, if you had oxidizer or an atmosphere. The SOL-A Expanding Curved Solar Array, seems to act oddly with ferram aerospace - I was testing a Duna-bound scacecraft (kerbin test flight) and it went into a g-meter-jammed-in-the-red death spin as soon as I hit around 100 m/s. This ceased occurring when I removed the array. ANYTHING from Near Future Electrical (Reactors, Science lab etc) absolutely REFUSES to stay attached when physics kick in, parts detach and fall through the rest of the rocket or fly off and go super-kraken, exploding and causing all sorts of mayhem. I cannot build anything with NF:E Components at the moment. Would like some insight into this issue. I'm sure i don't need to tell people exactly how frustrating it is to have a ship transmitting science (a LONG transmission) only to have that big old mass of incandescent gas fall below the horizon. They say in space, no one can hear you scream.. yet i feel my vocal frustrations met the ears of this creator. Nuclear reactors ensure a steady (albeit slightly toasty) stream of power to the entire ship. A Wonderful convenience and fantastic looking models! Great work! Have you heard of batteries?